Occupational training organisations must connect all 4 P’s into their market strategy if they wish to remain relevant. SETA, QCTO or CHE Accredited but no new business? It’s time to redefine ETD market strategy to profoundly communicate value and competitive edge. Lets identify niche markets you can dominate! Assess target market strategy – who requires your services and how do you make this accessible to them? How interesting / unique / different or niche are you? How do you generate interest? Do you provide information (blog) and rich media (video, infographics)? 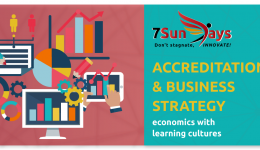 Are you aligned to macro economic and sector driven strategies? Do you use quality management as a competitive strategy? Leonie Hall is a development economist, social activist and seasoned leader with over 25 years of operation and project management experience in the education, social change and youth development sectors. A former high school teacher, accredited training provider and an HRD specialist with a proven track record of working with government agencies, civil society organisations, communities and grassroots movements, she can provide unique insights for capacitating youth and unemployed markets.